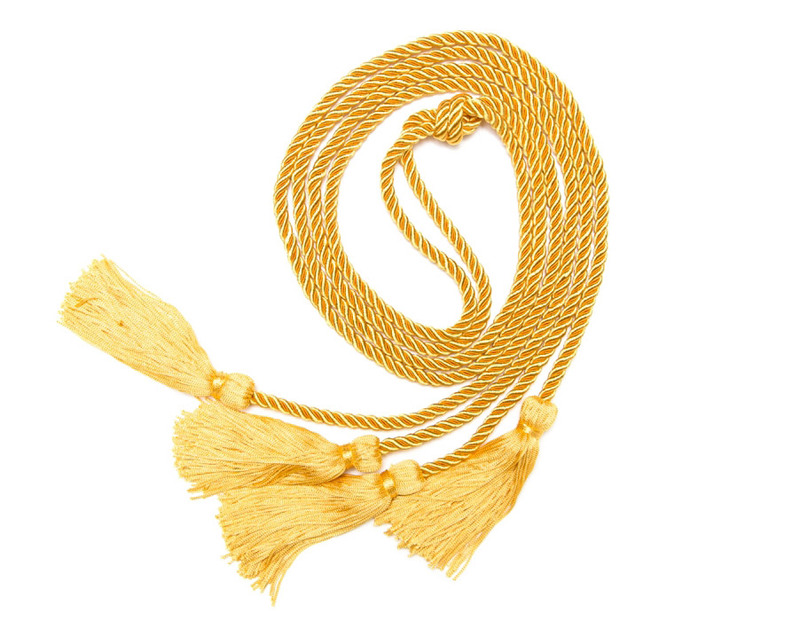 Show off your academic success with this double gold honor cord on your graduation day. The honor cord may be worn alone or with the honor stole and medallion. You can proudly wear it for photographs, frame it and keep it as a reminder of your dedication to success. Please check with the Graduation Coordinator at your school regarding your school’s policy on wearing graduation regalia.